- edited on ‎01-30-2017 10:22 AM by Tim_W. 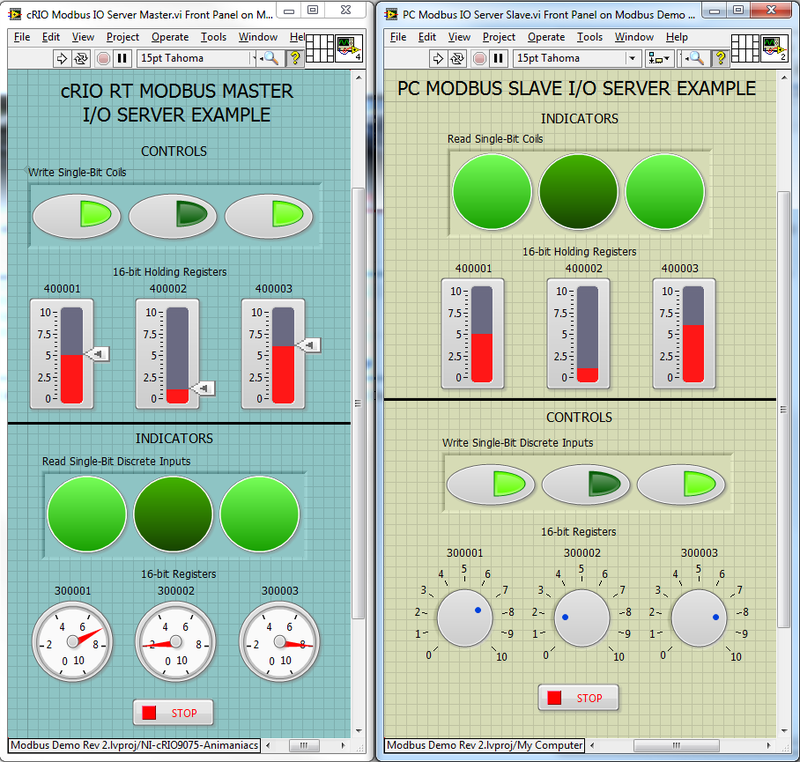 This simple example shows how a cRIO with LabVIEW Real-Time and Modbus I/O Servers installed can act as a Modbus master. The other part of this demo uses the LabVIEW Datalogging and Supervisory Control (DSC) module to access Modbus slave I/O servers on a desktop PC. Note: This example was written and tested in LabVIEW 2011 and has not been tested in older versions.